Fisicí Meiriceánach a saolaíodh i Shang-hai is ea Tsung-Dao Lee (r. 24 Samhain 1926). Foilsíonn sé a chuid saothar leis an ainm T. D. Lee. Bhain a phríomhshaothar le bréagnú dhlí na paireachta (a thairg go bhfuil frithcháithnín comhionann áit éigin sa Chruinne do gach cáithnín fo-adamhach, ach le cruth íomhá scáthánaí) sa bhfórsa núicléach lag. 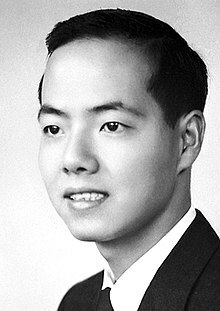 Bhuaigh sé Duais Nobel na Fisice sa bhliain 1957 i gcomhpháirt le Chen-Ning Yang. Ceann de na daoine ab' óige a bhfuair Duais Nobel riamh. Tugadh an leathanach seo cothrom le dáta an 7 Samhain 2016 ag 00:19.